This post is a long one. There is a poem at the end. You can skip straight to it, but then you would probably have to read the post to understand it, so you might as well start at the start, not the end, coz you’ll end up back at the start in the end. Yeah. I am training myself to think like Rubik’s Cube and it’s resulted in what I call Rubik Cube Rapping, this thing that I think I do. I am doing this so that I can stop getting so worked up when I start a conversation that ends up becoming an argument, generally because I start to realize that I don’t know 100% what i’m talking about and then I know that I have stopped trying to understand and have started just arguing for the sake of winning. Nothing could be more pointless. If you argue just to win then everyone loses. Argument should be about the exchange of fresh knowledge and fresh perspectives. It shouldn’t be about a winner and a loser. Everyone should win. I think I said that already. Obviously I mean it. A Rubik Cube (I used to pronounce it Rubix Cube but that comes from Rubik’s Cube, the correct version) is one of those mind games invented by this cat called Rubik. You can check out the full story and whatever at good ol’ Wikipedia here. Basically, this cube has 6 sides that are all supposed to match up as one color, so one side is all yellow, one side is all blue etc.etc. The thing is, each side is made up of nine smaller squares of different colors, and this clever pivot mechanism means you can twist and turn the pieces to try and put together a complete solid face. Look, this is why it’s a puzzle right? What does this have to do with rapping? This puzzle is all about ‘breaking it down’, and that’s how I write my raps. I like to pick apart words to see if there are other words in them that can be recombined or messed with or reconfigured to mean something similar to the original word or at least relate in some way. That’s what we are doing when we are rhyming really. It’s just that people only really recognize rhyme when it is in a standard ‘end-of’the-line’ format. That’s why people always joke rap with those same old lines “The cat sat on the mat in a hat” etc.etc. because that’s the regular rhyming they recognize. When MCs or Rappers get busy rhyming though, it’s a whole new ball game. It’s not just about the grammatical rhyme, but the implicit rythym generated by different technical word play. These cats are trying to stuff around with rhymes in different patterns to try and be original and out-do the next cat, so there are rhymes in the middle of words, in the middle of sentences, at the beginning of sentences and so on. It’s like rhyme doesn’t just have to be heard, it has to be felt as well, so it isn’t as much about a rhyming sound as it is about a rhythmic feel. With a Rubik Cube, you have to work through a number of different combinations to achieve a solid face of one color. Then you have to work out how to keep that solid face while you try to work on another one. There are six sides so this has to happen six times, then the puzzle is complete. So basically there is one huge combination you use that will result in all six sides being correct, eventually. It takes plenty of patience and you really have to want to work it out otherwise it just gets boring or frustrating or both, just like arguing. 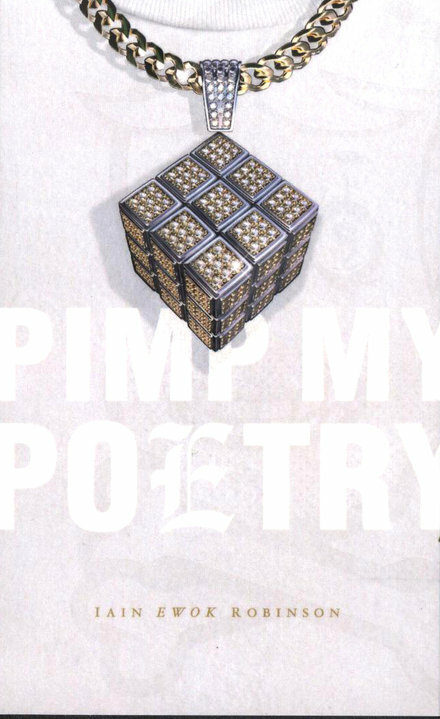 When I break words down, I like to work a word through a number of different combinations so that I get a whole large combination that results in a Spoken Word piece, in a poem that is like a verbal Rubik Cube. It starts with a word and messes with that word in different combinations to eventually arrive at one solid clear image or concept. It doesn’t only work with words though, it works with ideas as well. 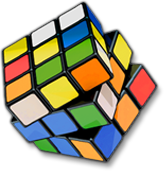 If you approach an idea like a Rubik Cube then you are totally open to any and all aspects and perspectives of that idea, any and all combinations, so every opinion and fresh angle is welcome and you can add further and further combinations together to reach that ultimate combination. 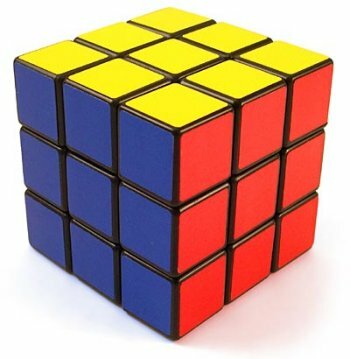 Training yourself to think like a Rubik Cube means it gets less frustrating when you come up against ideas or opinions opposite to your own. You start to see them as just additional combinations that you can add to your completed puzzle piece. Rubik Cube Rapping is taking something that you understand one way, or something that you don’t understand at all, and breaking it down into its parts, and reassembling them in various combinations until they make sense in a way that is apparent or can be communicated to others. That’s how you know that it makes sense, when you can translate it to others and they get it. Then you can move on to the next puzzle. There are so many, so it’s cool to have a kind of strategy that promises some kind of outcome at the end of all the confusion. In the book I published a Rubik Cube Rap poem called EYECON. I will leave you with that to hopefully make sense of what I have been writing about here. If it doesn’t make sense, then keep twisting it until it does. That’s what’s up. I, the Icon, CON the EYE of I. Another Icon, another EYE CON. Question is, can I con you to? Could your eye be conned? Can I con your eye? I CONtaminated my eye content, so uncontent I with the content of my eye, how could I(EYE) BE content with another EYE CON? Question is can I con you too? Could your eye be conned? Can I con your eye? To celebrate me as a celebrity? We shall see. We shall see WITHOUT the CON, we shall see with only the EYE. I shall see with only the EYE. I CONsider: I can’t see evenly BUT still I see(C) ON. Still I CONcieve the EYE of I, of I, the ICON. Love the idea, really important to understand that you never have full understanding.